Many homeowners do not know how much water should be normally used in a daily basis. Most people simply do not know how to conserve water. In order to save the environment, you should also take part in conserving water. Check out some simple in saving water without compromising your daily activities. A rainwater tank is a great way to save water and reduce your water bill. We can install outside hose taps to water your gardens, wash your car or clean down paths and driveways. We can also connect to your washing machine and toilets. This is great once installed and really good for the environment. Learn more here. You will need to get some water saving tips online. If necessary, you can ask for advice from experienced plumbers. You may even require their services in following some water conservation methods. Replace old toilets with modern ones. Traditional toilets use a lot of water for every use. Modern types of toilets, however, are great water conservers. Only an ample amount of water is used to flush toilets. Limit your shower time. Avoid taking showers for long periods of time. Aside from the fact that it can be potentially dangerous to your health, it is also a waste of too much water. You can save gallons of water if you reduce your shower time to just a few minutes. Regularly check for water leaks. Leaky faucets and water pipes can waste tons of water in just a short span of time. The evidence for water leaks is a high water bill. If you think that you are paying more than what you are consuming in your water bill, most likely you have leaks in your home. If you are unable to pinpoint the location of the leak, you can seek for the services of a plumber instead. 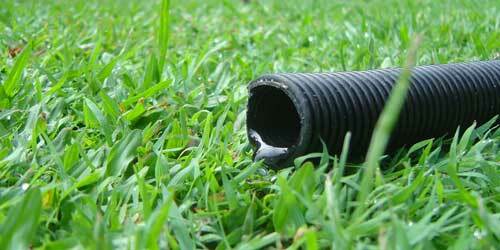 Conduct regular maintenance and check-up on your pipes and irrigation systems. It can protect your home from any water damages and can greatly reduce your water wastes. Consider changing your appliances. You may need to upgrade appliances that use water, such as washing machines and dishwashers. There are modern energy-efficient machines today that use less volumes of water. Be cautious when you buy new appliances. You may also consider installing a hot water circulation pump that can help you heat water more quickly. It can save you a lot of water and energy at the same time. If there is a pool in your home, always maintain it. Always keep your pool covered when not in use. Other than getting your pool dirty when it is open, the water may also evaporate after some time, especially in hot weather conditions. Also check for water leaks in your pool’s drainage system. You may be losing more water than expected. Contact your pool contractor if there are damages in your pool. Audit your plumbing fixtures repair leaks in taps and toilets replace taps install water efficient showerheads install new 4-star, dual-flush toilets install flow control devices to make existing taps, toilets and showers more water efficient. Get more details here. Water leaks from pipes can be difficult to trace, especially if the pipes are situated underground. Leaks can result to tons of wasted water which is why leaks should be fixed as soon as possible. 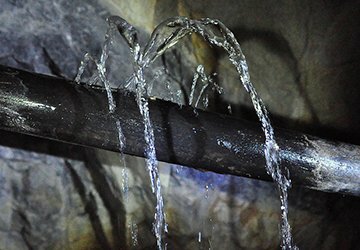 Leaks can happen in sewer pipes, drains, and behind walls. It can result to blocked drains and further faulty plumbing fixtures. There are some indicators that you can observe to know if there are issues in your plumbing system. If there are water stains near your tap or shower, it could mean that there are leaks in the nearby pipes. Molds on your bathroom walls or floors also indicate water waste. A professional plumber can help you track the main source of leakage. They can fix water leaks very easily through the use of plumbing products and tools. For visible and minor leaks, you can try to fix it on your own before calling a professional. Every person should be concerned with conserving water and how it can help save the world. Saving water can also help save money in the long run. Aside from the tips listed above, you can conserve water in many other ways. Just be cautious in how you use water. Avoid excessive usage, especially during bath time. 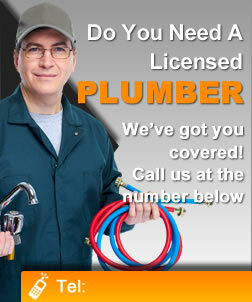 If you need assistance with your plumbing needs, simply contact a plumbing contractor.